Myrrh gum is sometimes referred to as myrrh resin. It is the dried sap from a particular type of tree. There are two types of myrrh, both of which come from trees in the Commiphora genus. The two varieties are heerabol — also called true myrrh — and bisabol. The trees from which most myrrh is harvested grow in Africa and the Middle East, but there are some in India and Pakistan as well. The name myrrh seems to come from the Semitic word for bitter. Herodotus makes mention of Ancient Egyptians using myrrh gum in the embalming process. They also used it as an air freshener. The army of Alexander the Great used it to perfume their tents. The Ancient Greeks used myrrh gum on the battlefield as a disinfectant for wounds and to help prevent blood loss. The Romans found uses for it as well; in fact, they placed so high a value on it that it was used as currency. Myrrh was still a valuable product in the time of Christ. 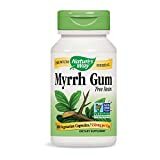 Myrrh gum has a long history in Asia and the Subcontinent as well. Practitioners of Ayurveda use it to treat dental problems and respiratory conditions among other health issues. Myrrh has been used in Traditional Chinese Medicine (TCM) since before the Tang Dynasty. TCM practitioners used myrrh to treat wounds and numerous other injuries and health conditions. 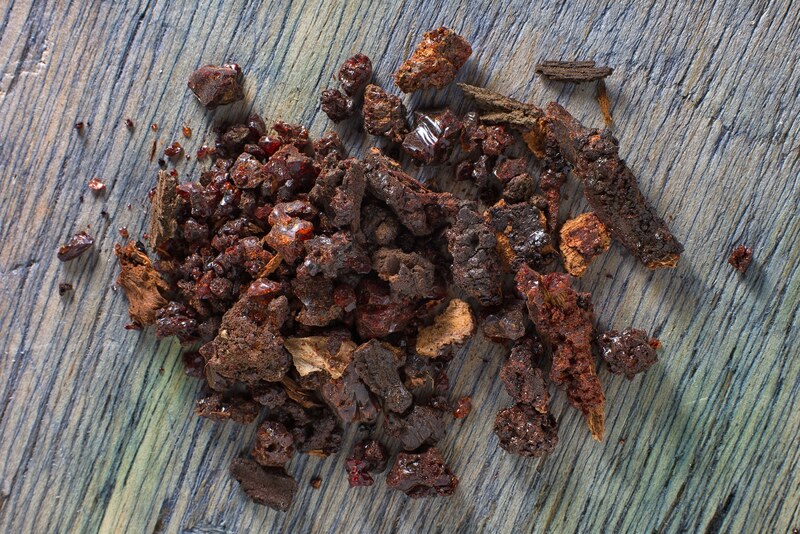 Even today, myrrh gum is still an important medicine in both Ayurveda and TCM. In the 18th century, the herbalist Samuel Thomson used myrrh as a disinfectant, and two centuries later another herbalist named John R. Christopher recommended it for stimulating blood flow. Christopher also used it to treat diarrhea, skin problems and issues with the mouth and respiratory system. In the modern era, myrrh gum is primarily used in mouthwashes and toothpastes. You may also see it among the listed ingredients in some liniments. Most of the myrrh in the modern world comes from the horn of Africa and the Arabian Peninsula. The aroma of myrrh gum is most often described as earthy, smoky, and bitter. You may be able to detect faint notes of vanilla and balsamic vinegar. Below are some of the health-enhancing compounds found in myrrh gum. Antioxidants: Researchers have found that myrrh gum contains antioxidants that can protect against oxidative damage to the liver. Volatile oils: Myrrh gum contains a variety of volatile oils that provide antimicrobial benefits. Its many volatile oils include heerabolene, limonene, and pinene. Cancer: Myrrh gum contains compounds that may protect the body from certain types of cancer. The volatile oils in myrrh gum induce cell death in some cancer cells. Gingivitis: One of the older uses for myrrh is as a treatment for dental problems and other oral health issues. It is still useful for this purpose, especially when combined with ingredients like clove and peppermint oils. 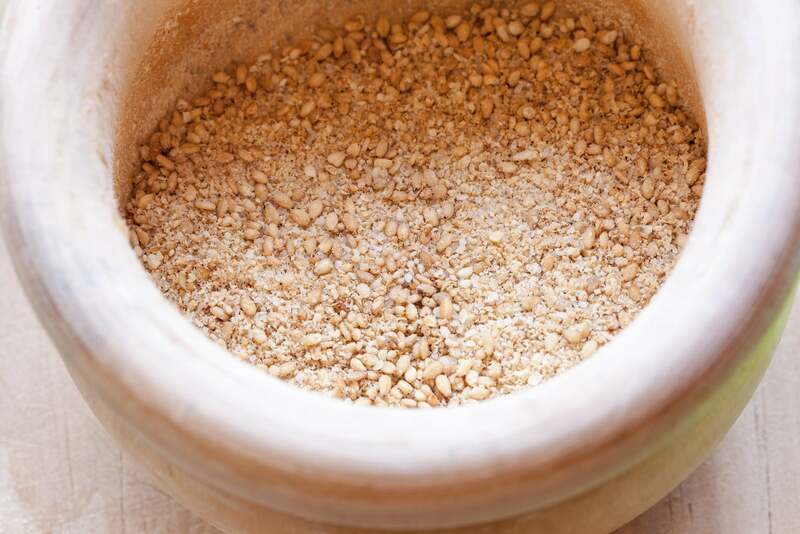 Stomach ulcers: Some studies have found that myrrh may be useful as a treatment for stomach ulcers. It promotes an immune system response that stimulates healing. Food poisoning: The antibacterial effects of myrrh gum make it useful against pathogens that cause food poisoning. Myrrh is typically used in the form of a tincture or essential oil. It is mostly used in pharmaceutical products but in rare instances, you may see it as an ingredient in tea.